Summer is in full swing in the Northern Hemisphere. It's hot, the sun is out (and so are the buns), and the sweaty masses are seeking respite at their nearest beach, lake, pool, or watering hole of choice. Sun protection is very important this time of year. Obviously. But, I’d like to remind you that sunscreen is also very important for year-round skin protection, no matter where you live! If you are going to be outside, driving a car, sitting by a window for prolonged periods, you should be wearing some sort of sun protection on your face! All year long! Even those of us up here in New England who see the sun for only a few months of the year. And while the following hypothesis still remains controversial in the medical community, some research shows that recreational, or intermittent, sun exposure (weekend trips to the beach, tropical mid-winter vacations, or ski trips for example) is a risk factor for melanoma. So if you're headed to the beach this summer please don't skip sunscreen on the first day because you want to get a nice "base" tan - that's not an actual thing- and you’re only damaging your skin and putting yourself at risk for skin cancer. The shelves at your local pharmacy are lined with myriad options to choose from, but not all sunscreens are created equal. Sunscreens contain filters that -you guessed it- filter the harmful rays of the sun to reduce skin damage. The two types of filters used in sunscreens are chemical and physical (also referred to as “mineral”) filters, the former being the type utilized in most commercially available sunscreens , and the latter considered to be the safer and more environmentally friendly option. Even though they are the most widely used sunscreens, chemical sunscreens are rife with problems. The environmental damage caused by some commonly used ingredients, like octinoxate and avobenzone, have been getting a lot of attention lately as Hawaii recently passed a bill banning the sale of sunscreens containing them. Those ingredients are known to kill coral reefs and cause reef bleaching. There are many known health concerns, particularly with oxybenzone. Some chemical filters are photounstable, which means they lose some of their protection when exposed to light. This is obviously very counterintuitive. Current US regulations do NOT require that sunscreens protect from UVA rays. UVA rays do not burn the skin like UVB rays, but they do cause damage and can lead to cancer, so consumers who may not know of this regulation may not be aware they aren’t fully protecting themselves from skin damage. The most common mineral filter is zinc-oxide, but some sunscreens might also contain titanium-dioxide. Unlike chemical sunscreens, zinc is a broad spectrum filter that sits on your skin reflecting and scattering UVA and UVB rays. While these two mineral filters have their own drawbacks (read about nano and non-nano zinc oxide here), they pale in comparison to all the negative aspects of chemical filters. Some mineral sunscreens will only contain zinc, while others contain both. I use Suntegrity as my daily, go-to sunscreen. All year. Everyday. They have a range of products, including tinted sunscreens in four shades- hopefully they'll expand the range of shades they offer- and a range of lip protection in a variety of colors. Awarded "champion" status by the EWG, Suntegrity uses non-nano zinc oxide and a formula of anitoxidants to help soothe and repair the skin. Raw Elements offers a range of high performance sunscreens geared toward people who are active in and out of the water. Using mostly organic ingredients, Raw Elements is reef safe and biodegradable. Some of their sunscreens are available in recyclable plastic-free, recyclable tins. The FDA’s “very water resistant” rating is for high-performing sport sunscreens that provide protection for 80 minutes; Raw Elements claims that they offer protection beyond 80 minutes. Made and packaged in the USA, this brand was started in the tiny, but great, Ocean State. Raw Elements recently launched a lightweight version of their formula to use as part of your daily skincare routine. I use their face stick, which can be applied UNDER WATER! The face stick is a really great option for anyone surfing or out in the water for extended periods of time and would need to reapply on wet skin. USE CODE: HERETHERECO for a discount at checkout! For heavy duty coverage for extended time in the water, this rich stick smells good enough to eat because it contains cocoa powder and cocoa butter for hydration. I love that there are only five ingredients (plus the zinc), all of which are organic, and it comes in a compostable paper tube. I will note that while I do love that it comes in compostable packaging, I found that the design made it a little bit messy as the stick does get a bit soft if it has been in a hot car or the sun. But this stick is great. When I’m surfing I want something that is super thick that I can actually see on my face, almost like a mask. There are clear zinc sticks available - not everyone wants their sunscreen visible- but for me it’s peace of mind. I want to be 100% certain I’m getting coverage, especially on my melasma spots, and this stuff does the trick. It’s rated for 80 minutes of water resistance, but as what typically happens, I stay in the water for far longer than 80 minutes without reapplying, yet this stuff stays well beyond 80 minutes. In fact, this is the kind of stuff that needs to be scraped off at the end of the day, which is why I recommend using a facial scrub to make sure you get it all off. If you aren't spending too much time in the sun, and don't have sun sensitivities, you might be looking for an SPF-moisturizer combo to incorporate into your morning skincare routine. 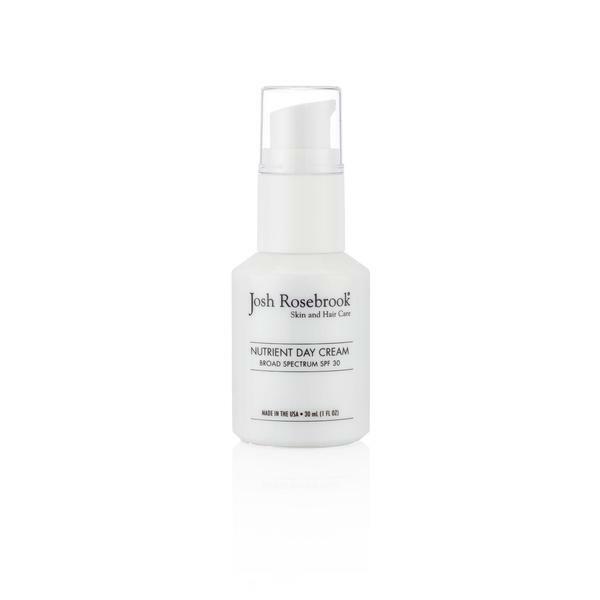 I highly recommend all of Josh Rosebrook's products, including this lightweight moisturizer with 12% non-nano zinc oxide. I used this for a while before accepting the fact that, because I have melasma, I am someone who requires a dedicated sunscreen; moisturizer-spf combos just don't cut it for me. It might suit your needs nicely, though. Regardless, this moisturizer smells divine, and is packed with all sorts of beautiful herbal actives and plant oils, nearly all of which are certified organic. As you shop for your mineral sunscreens please be careful of greenwashing, as labels like “Reef Safe” are not yet regulated. Since it’s en vogue to be green and ethical these days, companies will use unregulated terms like “natural” and “reef safe” to appeal to a more conscious consumer. As a safeguard against this simply reach out directly to the company in question to verify any claims. Disclaimer: *I realize these products contain beeswax, which is not vegan. As I’ve mentioned in other posts, I sometimes use products that contain beeswax (most of which are sunscreens). I know not everyone agrees with this, but I wanted to be sure this ingredient was clearly indicated. There are plenty of vegan sunscreen brands, but I have not yet found one that stands up to my personal needs, and many contain chemical filters anyway. From my perspective, using a safe product that is better for the environment, but contain beeswax, is a more responsible choice given the alternatives.